Number 3 is the most important and contains the download link for the Betting Profits Course. It is sent from our partners Send Owl who deal with many of our products. The email will look like the one below, with your name, order number and download link shown in full. These details have been removed from the image below. 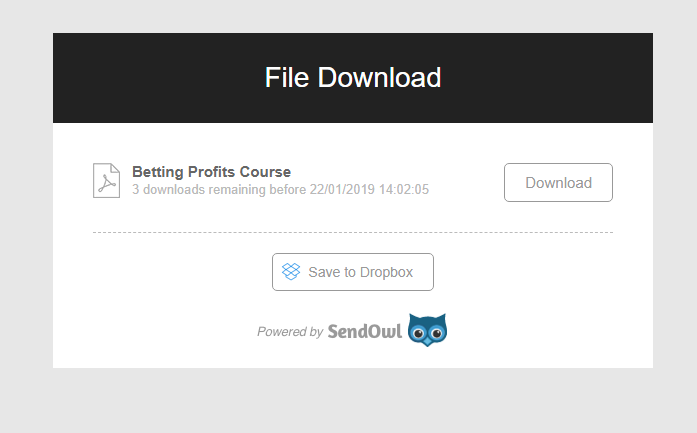 When you click the link in the email you will be taken to the page below where you can save the Betting Course to Dropbox or simply Download it to your computer.